The B.C. 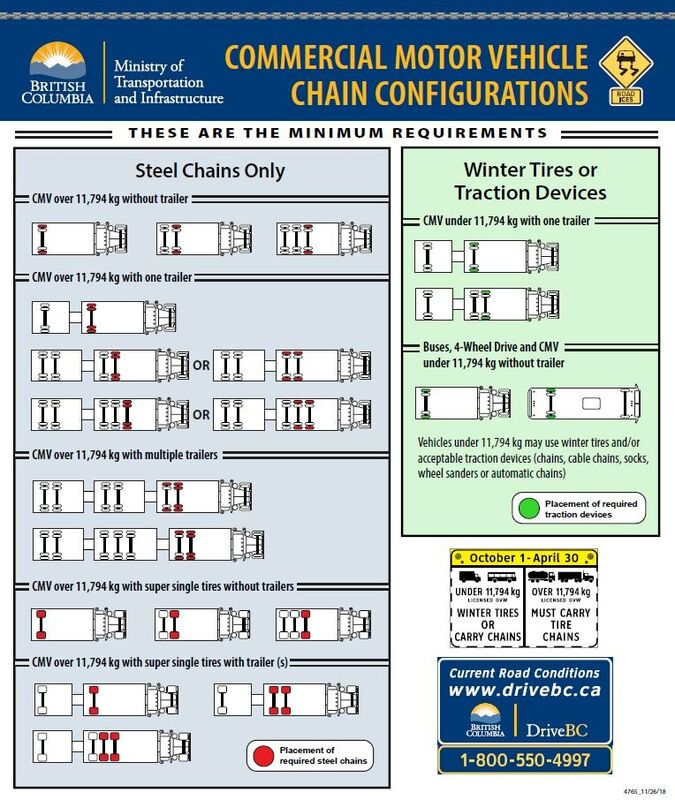 Ministry of Transportation and Infrastructure introduced new rules for commercial for minimum requirements for Winter Tire, Traction Devices, and Steel Chains. 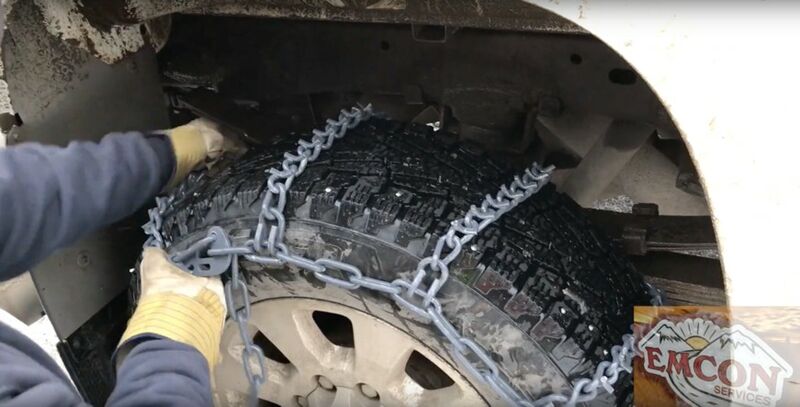 Watch the following video on how to install Tire Chains. The B.C. 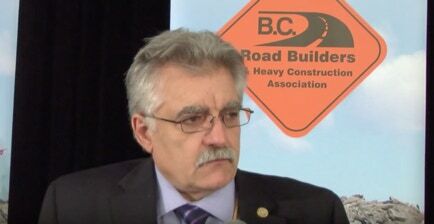 Road Builders and Heavy Construction Association recently held its Annual General Meeting in Victoria, B.C., where changes were announced to the "Slow Down, Move Over" regulations to ensure higher safety standards for both workers on the province's roads and the drivers using the province's vehicular infrastructure. Slow Down Move Over For Yellow Lights. 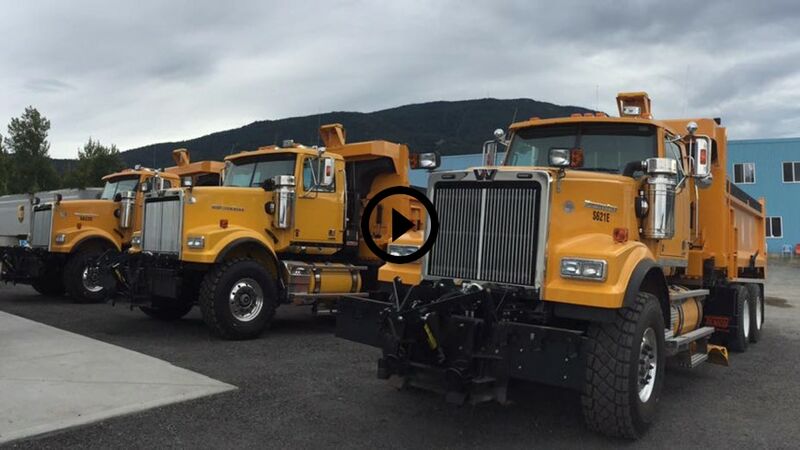 Now includes Tow Trucks and highway maintenance units. 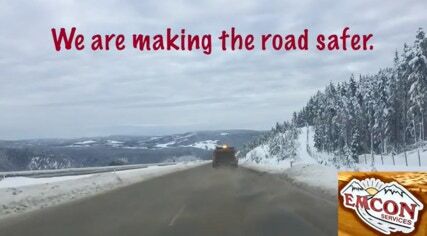 Watch for Amber Blue in Ontario and Amber in British Columbia when crews at work. 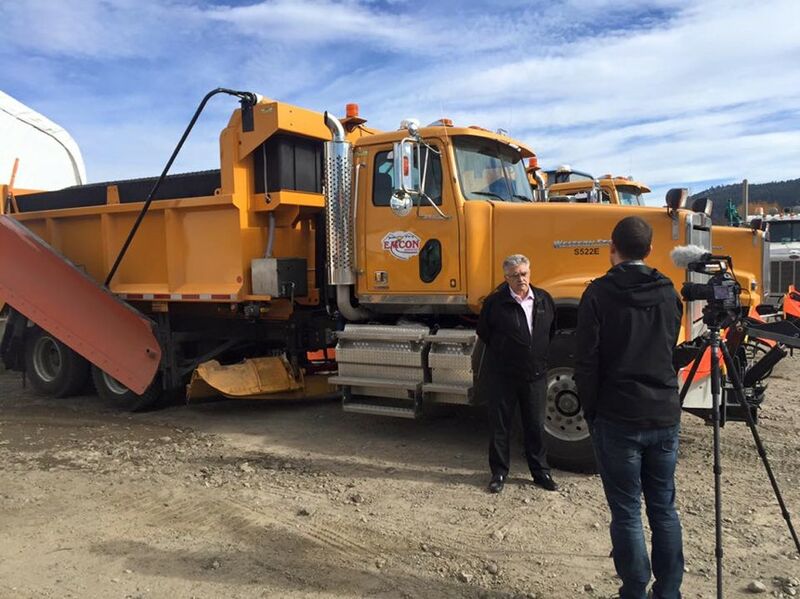 While the tow plow may look very wide and difficult to handle, it is more responsive than the traditional wing plows; the operator can quickly maneuver around obstacles on the road like signs or parked cars. 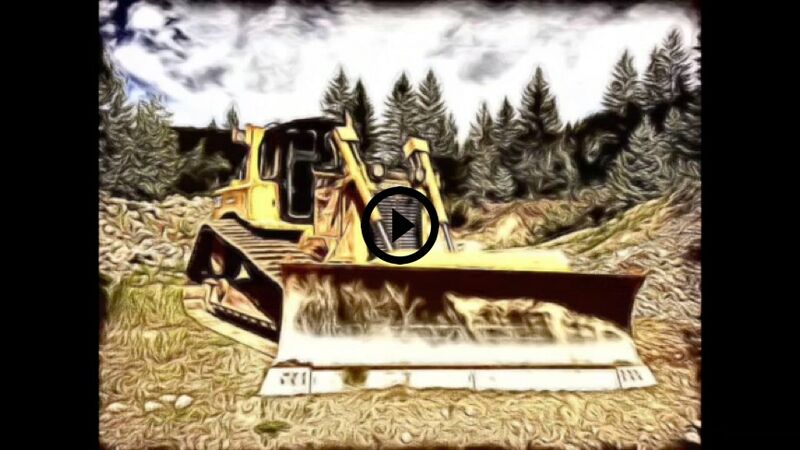 This is fairly new technology, and you can expect to see them on selected B.C. 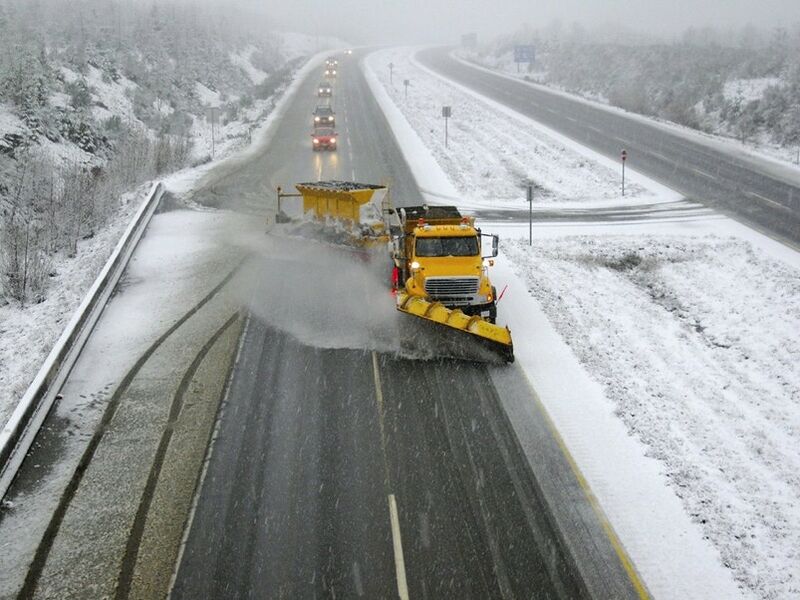 highways this winter.